Digital Repository Instructions and Questions. Lake Cook Reporting’s digital repository is an online file distribution system best suited for instant access to case files online from any device. 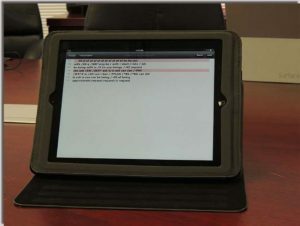 Our system works with transcripts, exhibits, legal video, or a combination of all of the above. The repository makes it easy for Lake Cook Reporting to distribute its products quickly and securely. All information contained in the repository is password-protected and secured with modern, top-of-the-line security software. Our repository is always accessible from the login page on the Client Portal or through the initial email link sent when ordering a file or files for digital retrieval. Once the transcripts, exhibits, and video post-production are completed, we upload the files via an encrypted connection directly to our repository’s server. Clients are sent an email, allowing them to create a username and password to access these files. Note: Passwords created by our clients are not viewable nor can they be changed by anyone at Lake Cook Reporting for security and privacy reasons. Once a login is created, an administrator at Lake Cook Reporting will grant the client access to the case files, making its contents accessible and downloadable. Attorneys, paralegals, or other parties affiliated with your case can request their own unique login to gain access to files if permission is granted by a participating party to the case. Is my data protected? Can it be seen by others? All data in our repository requires a username and password to access. Nothing is stored unsecured, all data is transferred with state-of-the-art encryption technology, and no links can be created to access the files in our repository. All activity is controlled by administrators at Lake Cook, and access is monitored by our staff. Once the information is downloaded, we are no longer responsible for the security of data. Attorneys from opposite sides of a case ordering the same repository data will not be able to see the activity of opposing counsel. Is my data ever deleted from the repository? Once ordered via repository, data will be kept online indefinitely unless we are instructed otherwise by the ordering parties. By request, data can be set to expire after a certain time period or limited to a finite number of downloads. In extenuating circumstances where all data is to be purged from our repository, Lake Cook Reporting will reach out to clients to arrange a transfer of your data, if necessary. Do I need a new login every time I use the repository? Only one login is required for access to Lake Cook Reporting’s repository. If new files are ordered for cases that have existing repository data, they will be added to that online case file folder. Otherwise, we will create new case files that will automatically show up with your existing login credentials. You can call us or email us and we will answer any question you may have.